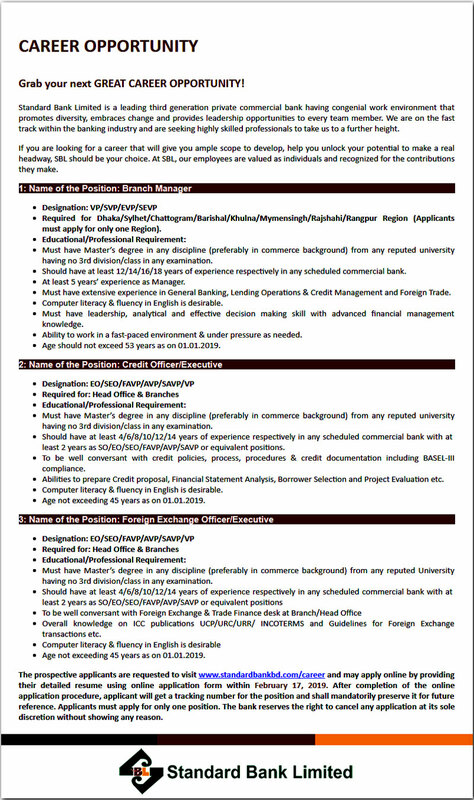 Standard Bank Limited (SBL) job circular 2019 has been published by the bank authority. The bank authority has circular for three positions. You also find the Standard Bank Limited job circular in this post. Standard Bank Limited is a Private commercial bank in Bangladesh. Recently a Job Circular has published on their official website. In Bangladesh most of the people are searching for Standard Bank (SBL) job circular; so, this is an attractive job. Many people are doing a job but they want a better position to improve their lifestyle and career. SBL is giving them the opportunity to prove themselves and get the demanded job. If you are also looking for another job like Government jobs, Bank jobs, Company jobs, NGO jobs, etc. then visit in our website, every day we have updated job circular in this website. Standard Bank Limited also includes the last date of application inside the circular. There are many private commercial banks in Bangladesh and Standard Bank Limited (SBL) is one of them. They are offering three positions of a vacancy in their internal office. Male and female both can apply for the job. The entire interested candidate requested to apply for the job before its deadline. On 17 February 2019 is the last date of application. You can apply for the job online, all the required information are given on the Circular. 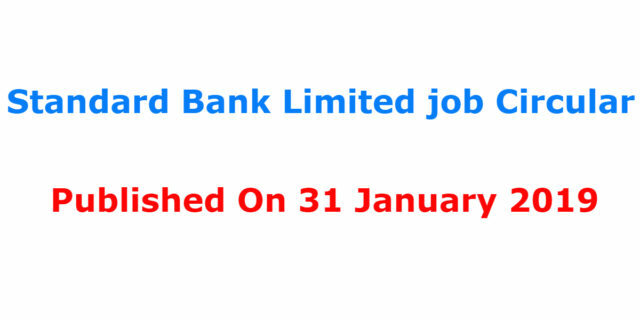 Many of Unemployed and employed are also have interested in bank job this is the time to apply for it and get the job. They are offering full time and permanent job. They will choose an energetic, experienced, bright employee for this job.